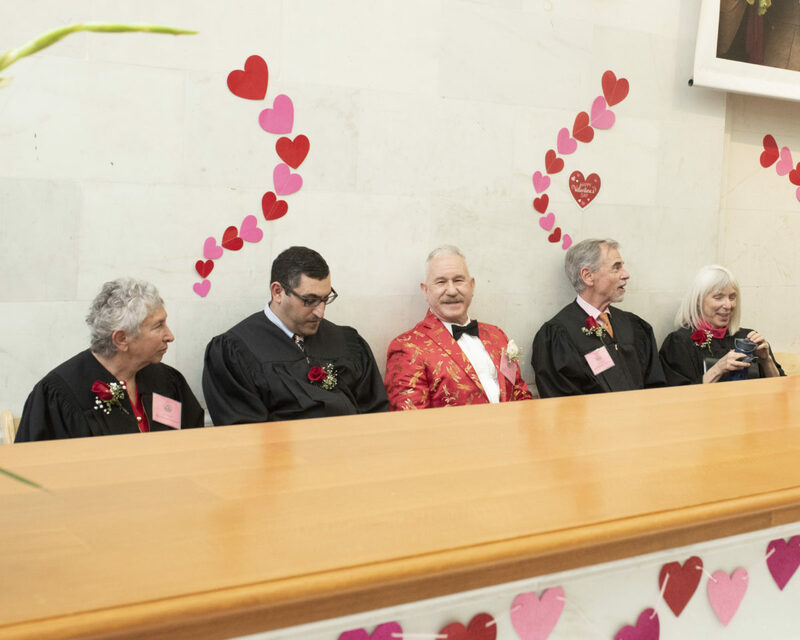 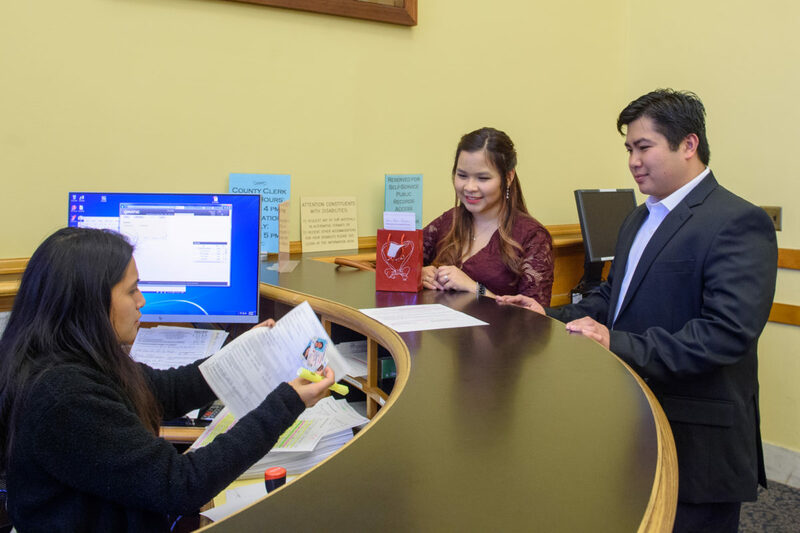 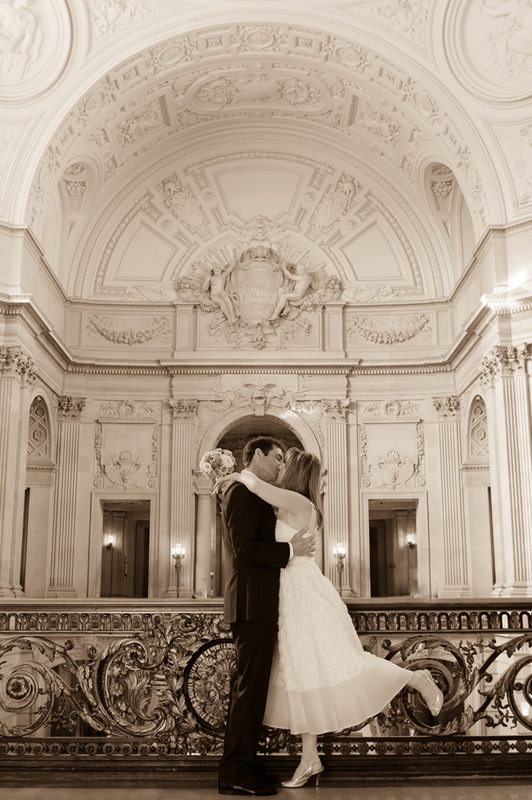 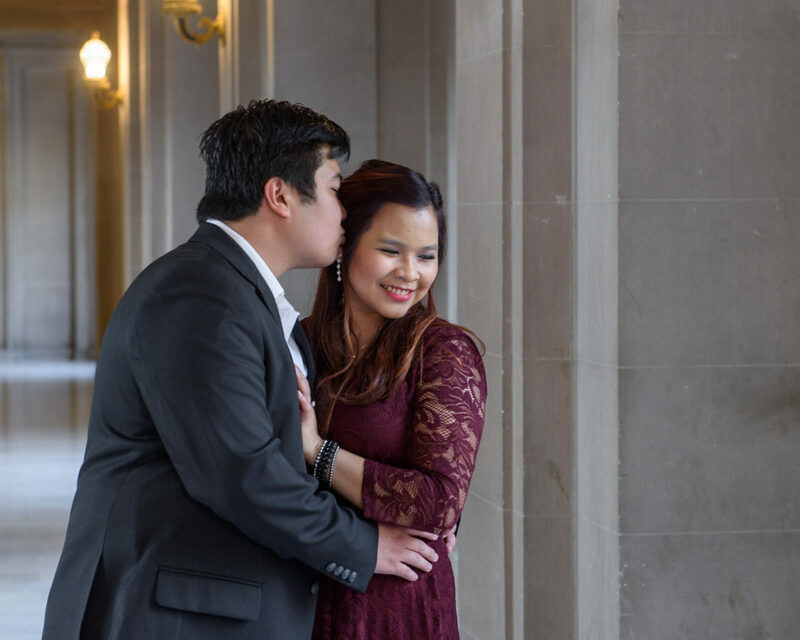 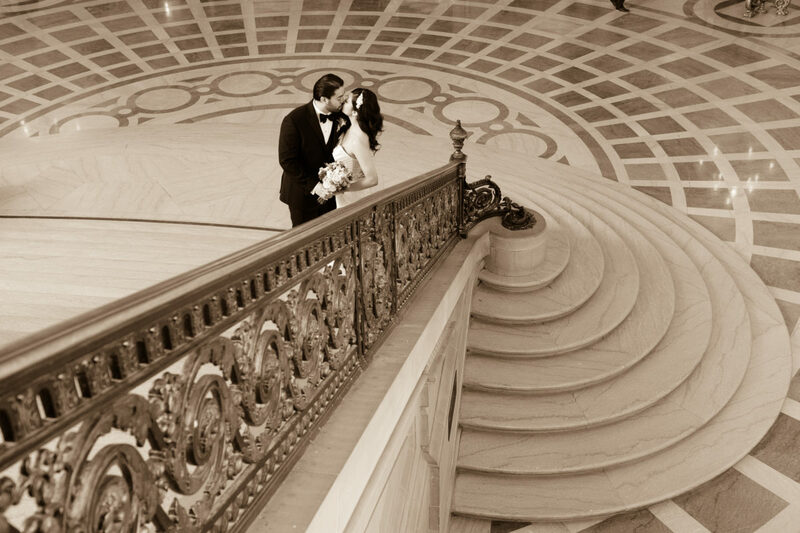 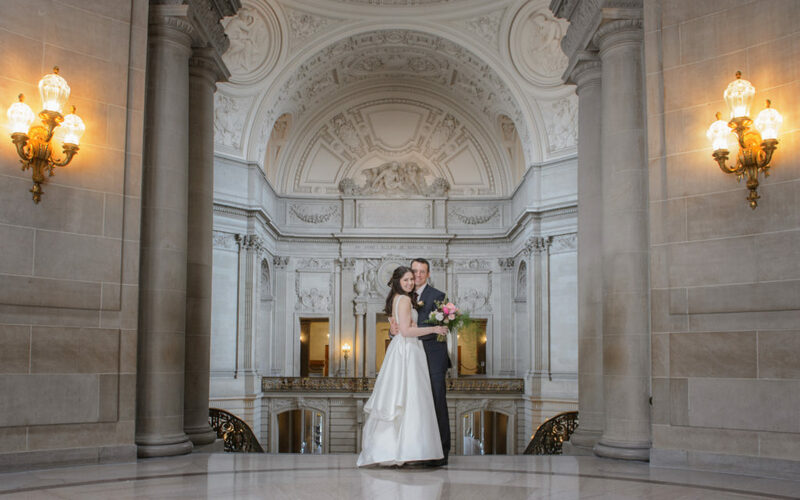 We photographed Cheri and Wesley’s San Francisco City Hall wedding on 10/13 and had never met them prior to the wedding. 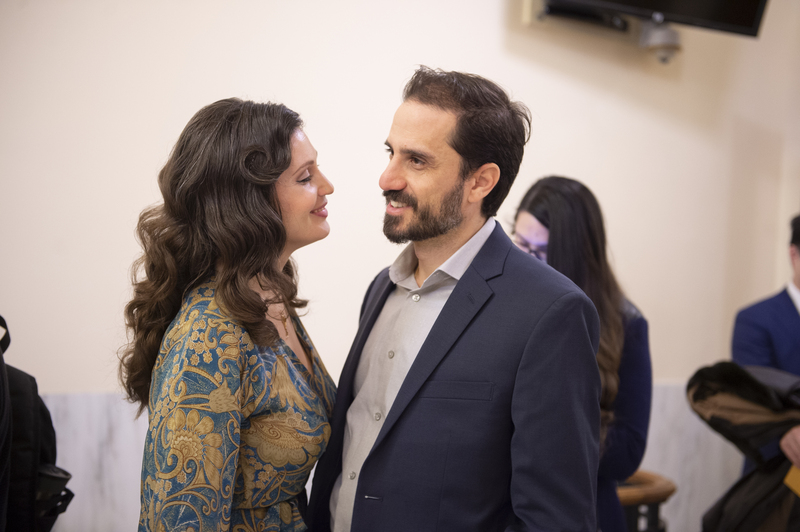 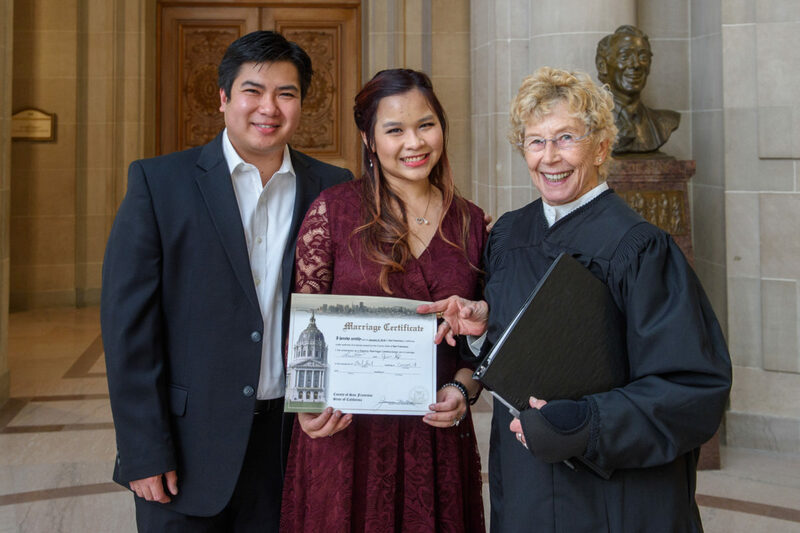 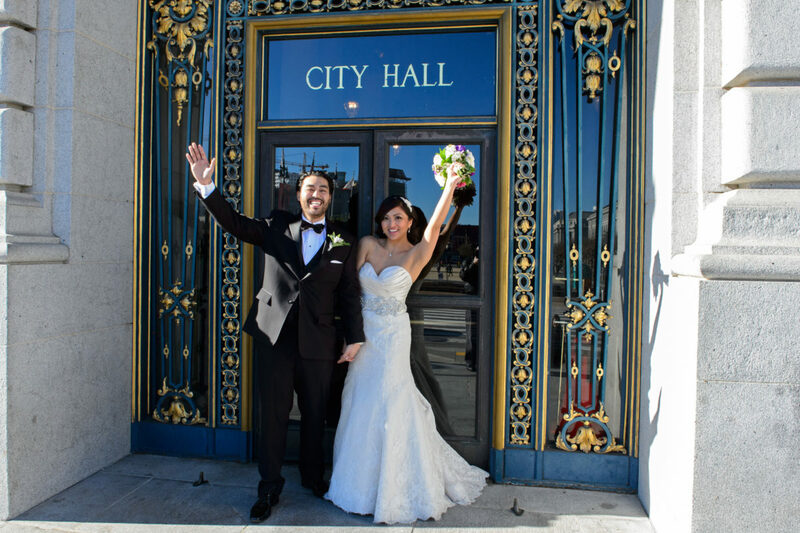 When I arrived at City Hall, I contacted Cheri so we could meet prior to the wedding. 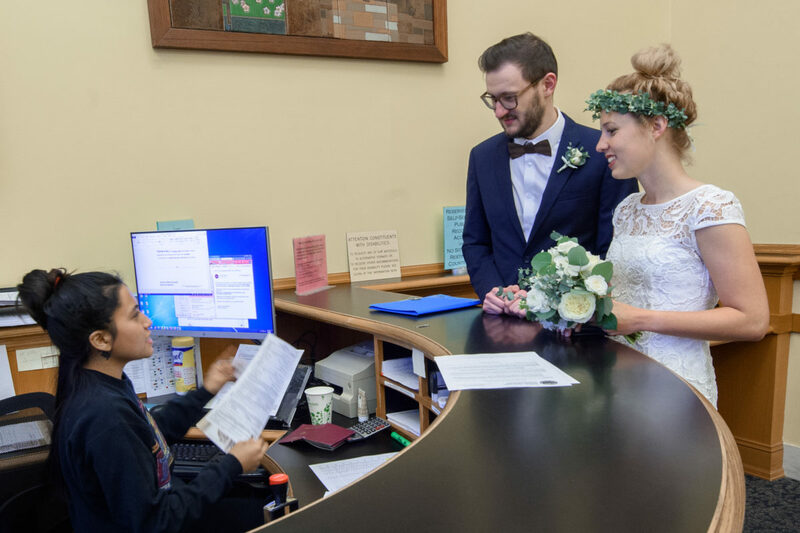 During our phone conversation Cheri told me: “Don’t worry, you will recognize me, I am pretty sure that I am the only bride in the building wearing a dress with black and white polka dots!” She was definitely correct, we spotted her right away! 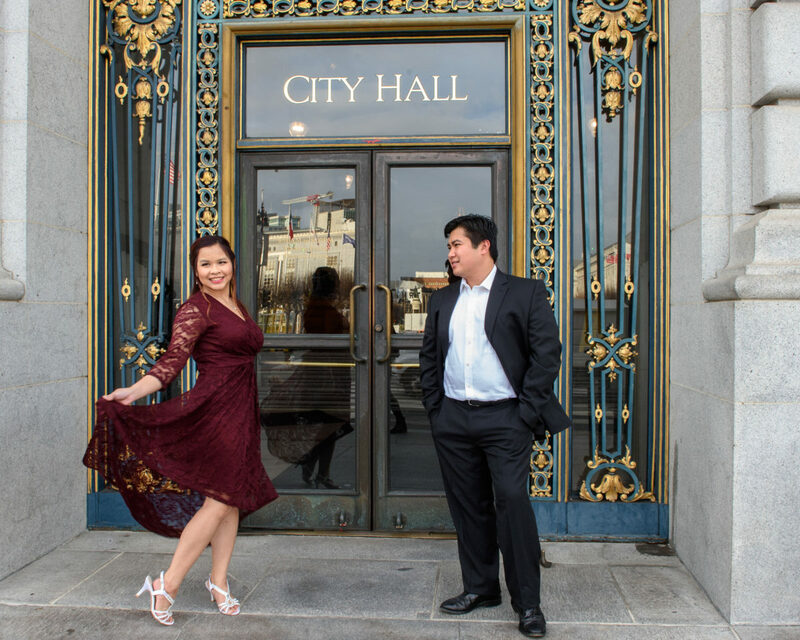 San Francisco City Hall is a great place to wear an outfit like this, everything seems to work here and the more colorful the better. 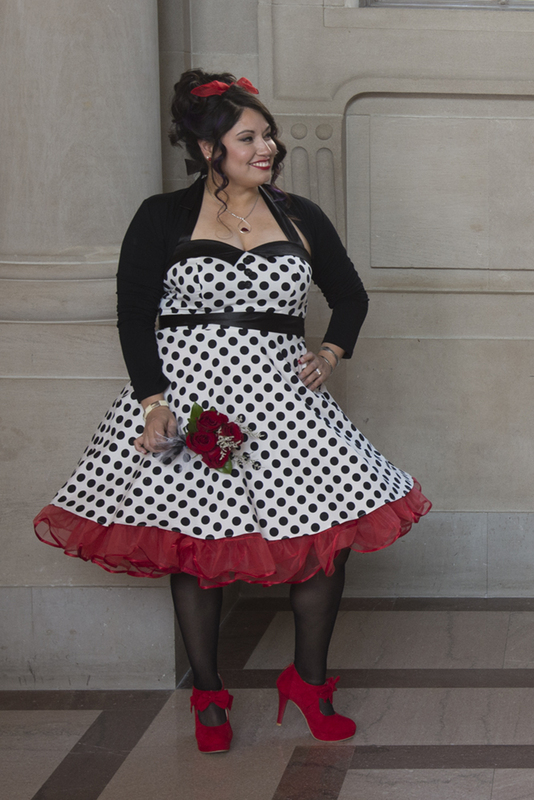 Cheri’s attitude matched the fun in her dress and we had a great time at their wedding. 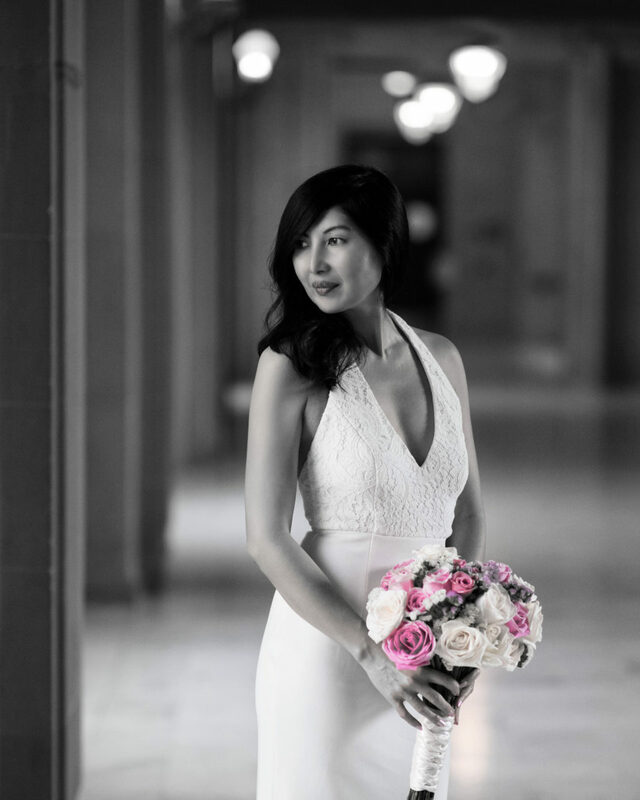 Wesley and her came all the way from Alaska to have their nuptials at one of the best wedding venues on the west coast. 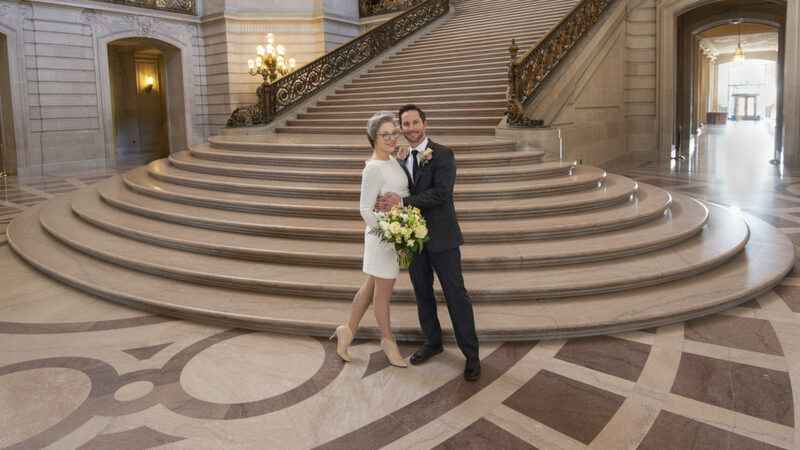 They talked about the affordability and historic beauty of city hall and how they really wanted to have their wedding here. 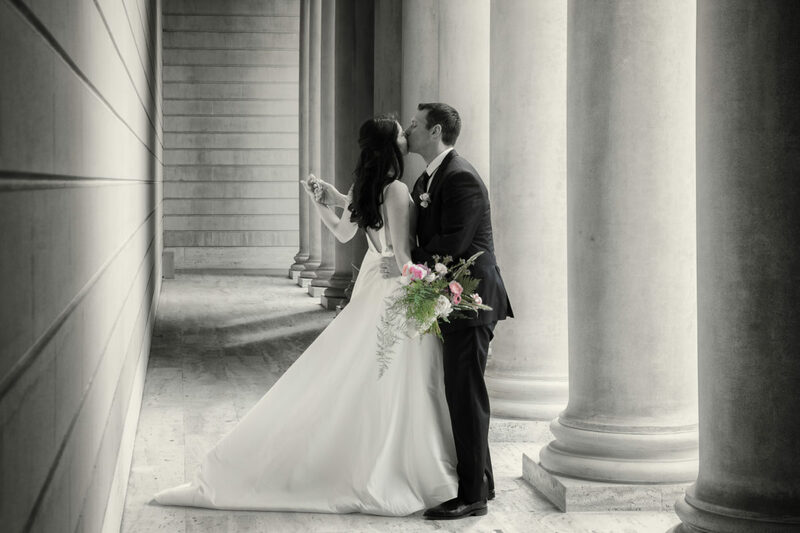 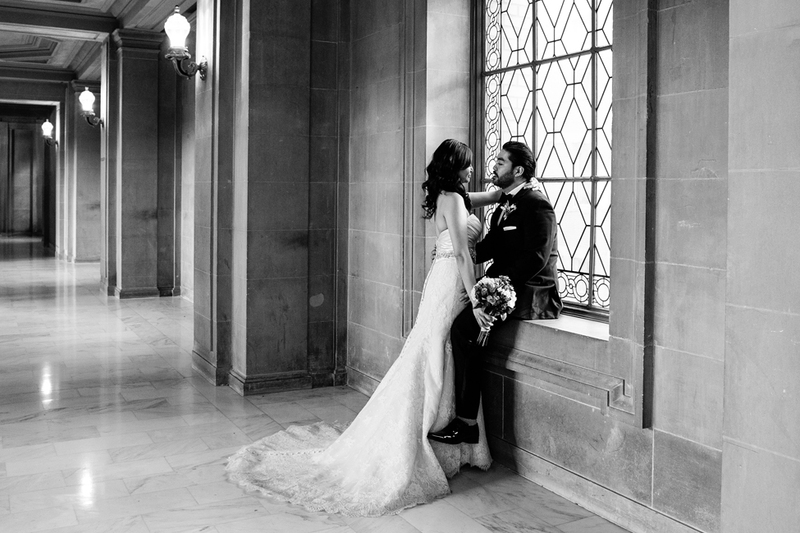 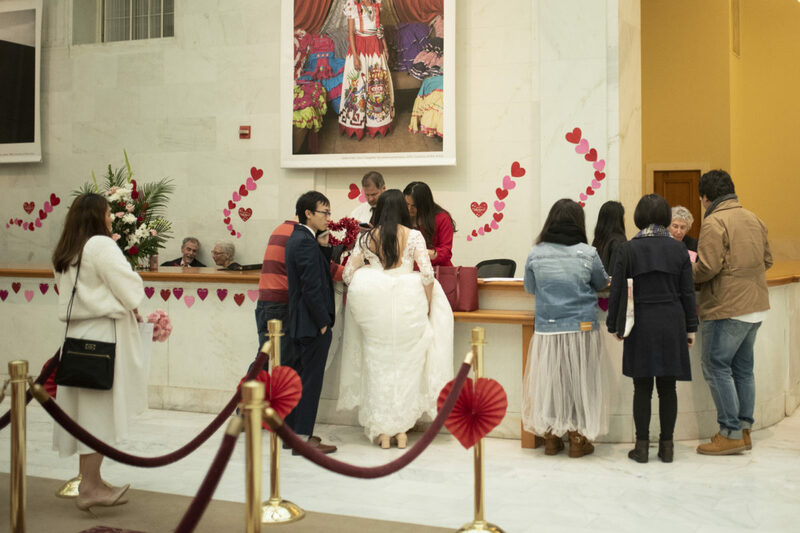 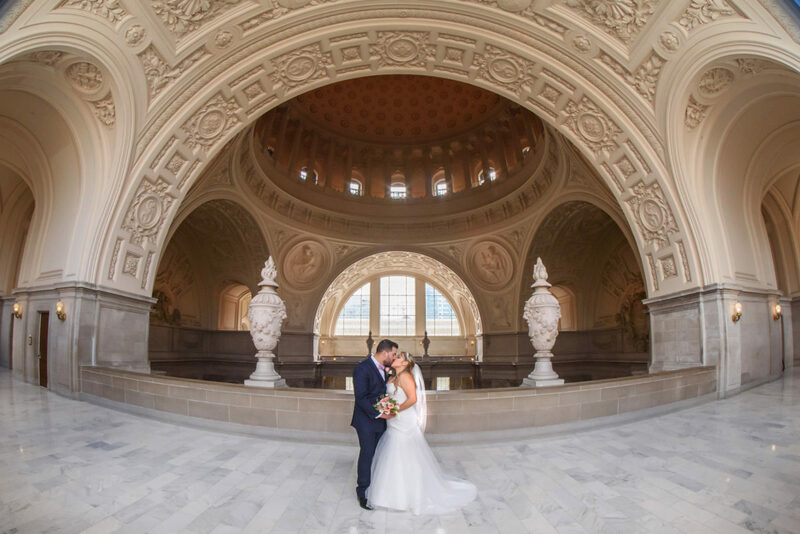 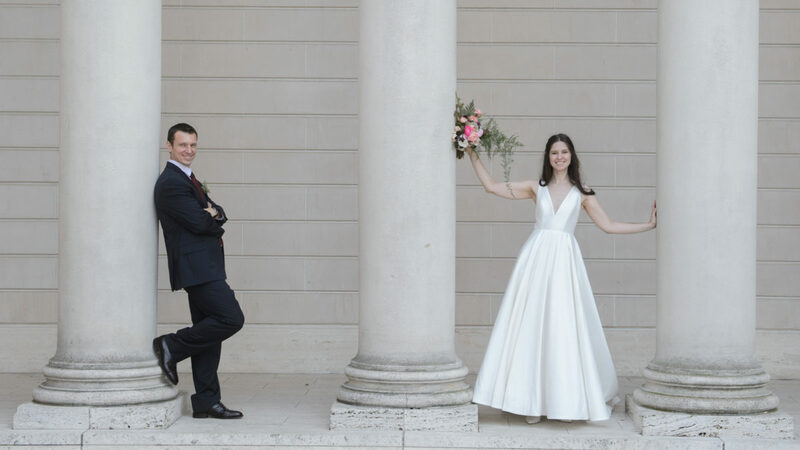 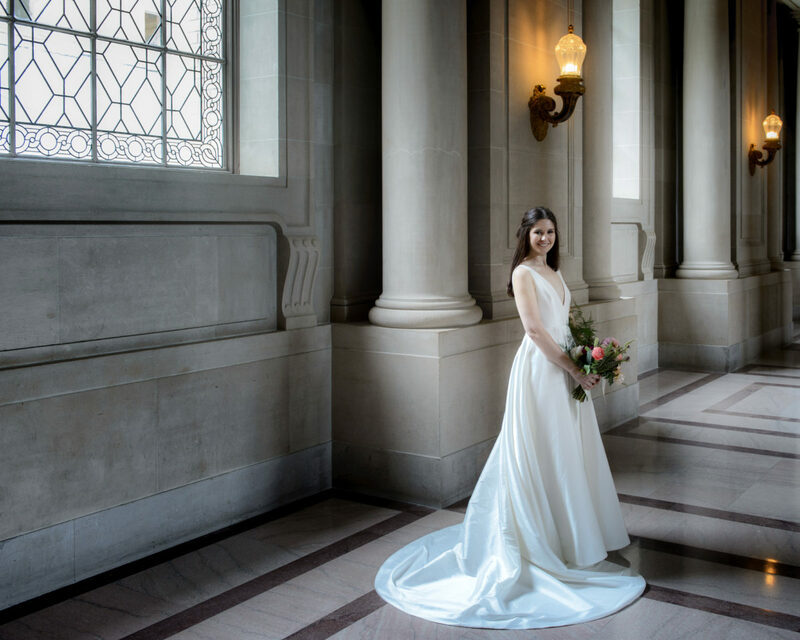 They chose our City Hall Tour Package which provided them with 4 hours of photographic coverage and 3 locations in San Francisco. 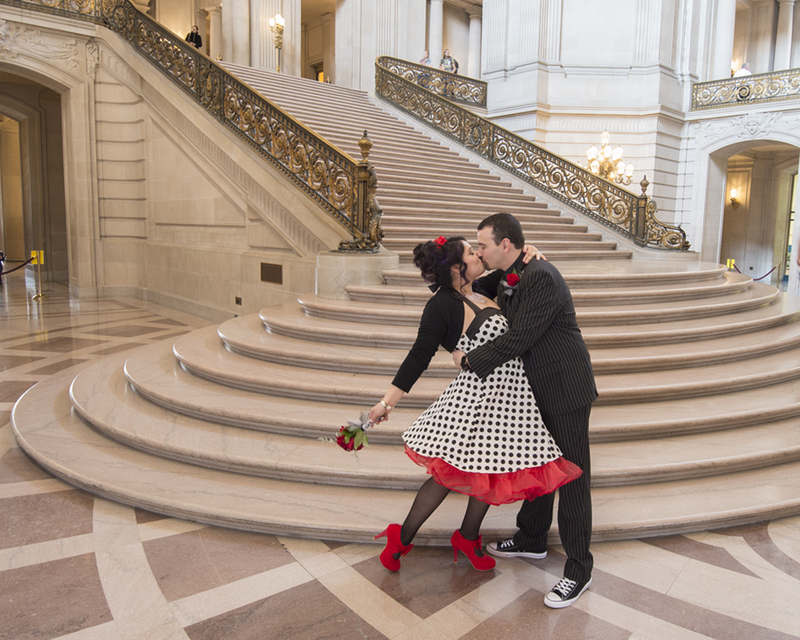 They choose to go to the Palace of Fine Arts, the Golden Gate Bridge and then finish up at Ghirardelli Square. 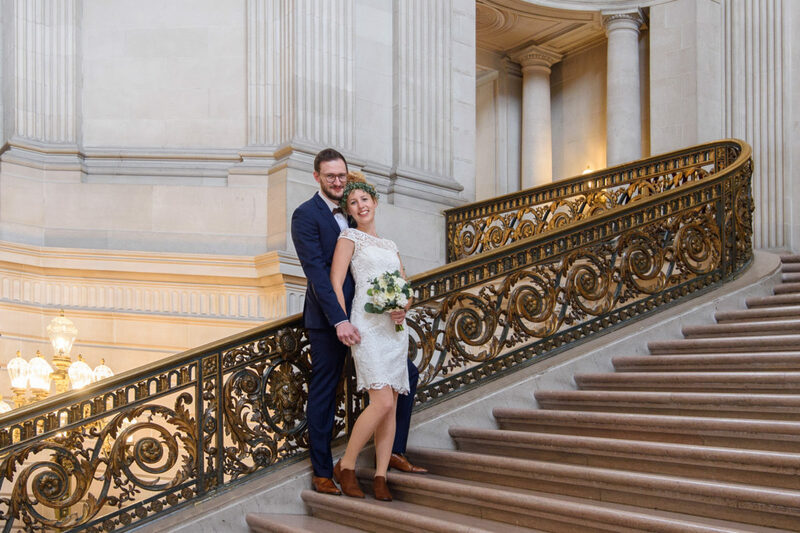 The weather was gorgeous in typical October “Indian Summer” fashion in San Francisco. 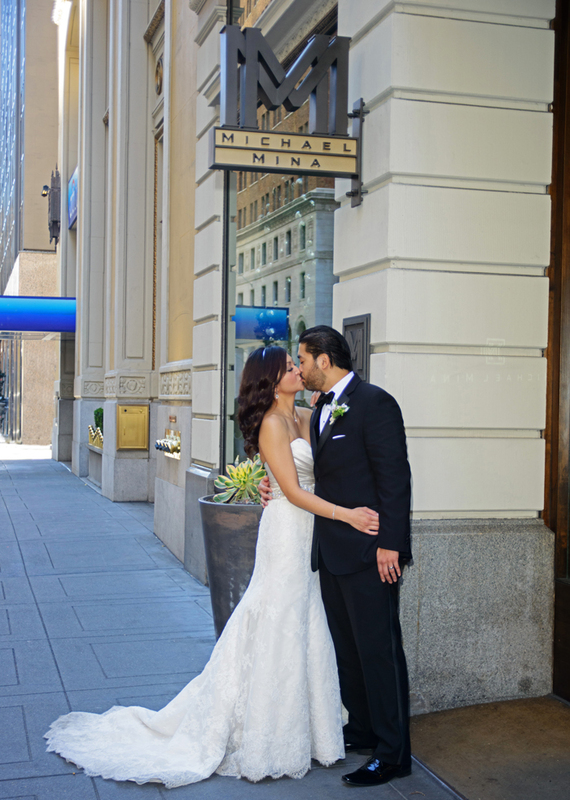 We drove the couple to each location and had a fantastic time. 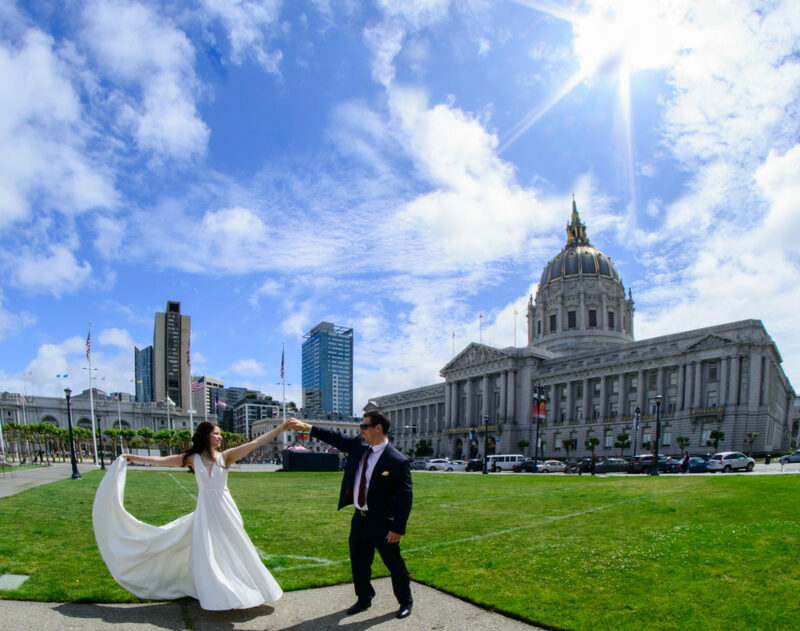 We love it when our clients choose the San Francisco Tour package. 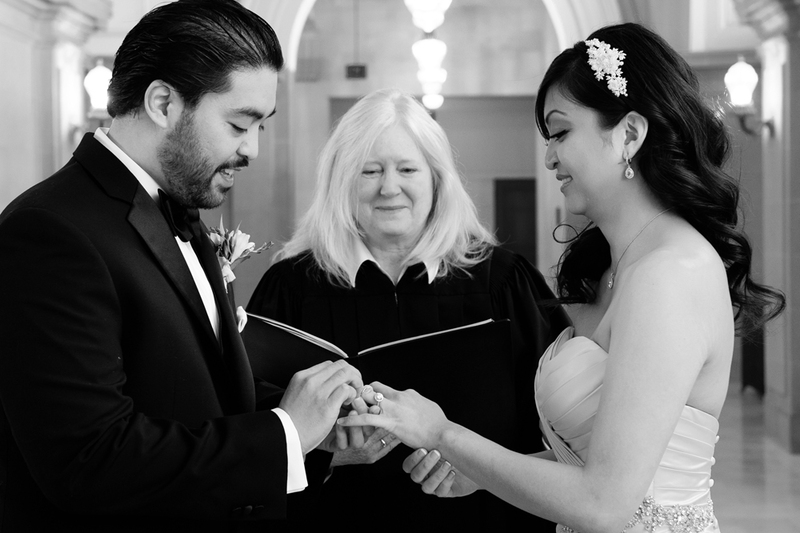 It’s affordable, fun and you really get to know the client. 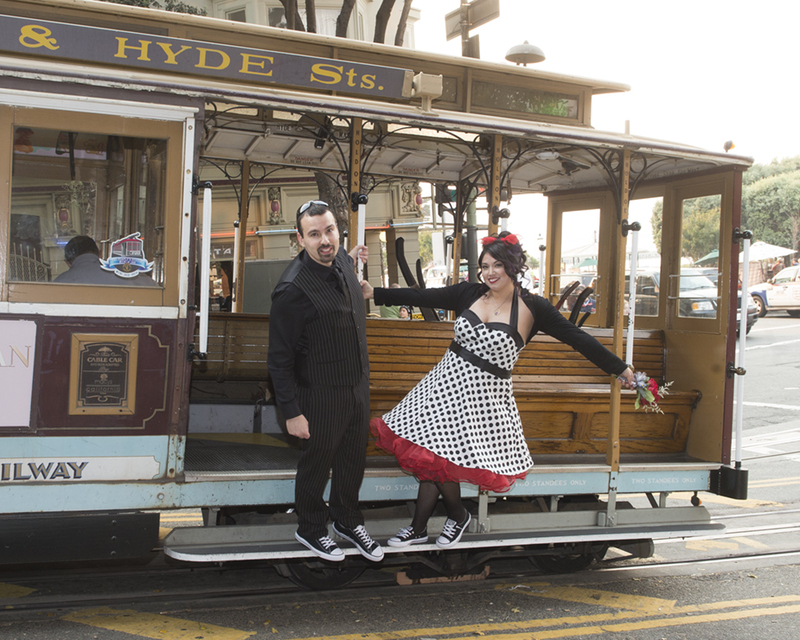 We find that the end of the Hyde Street Line is one of the best places to take good Cable Car photos. 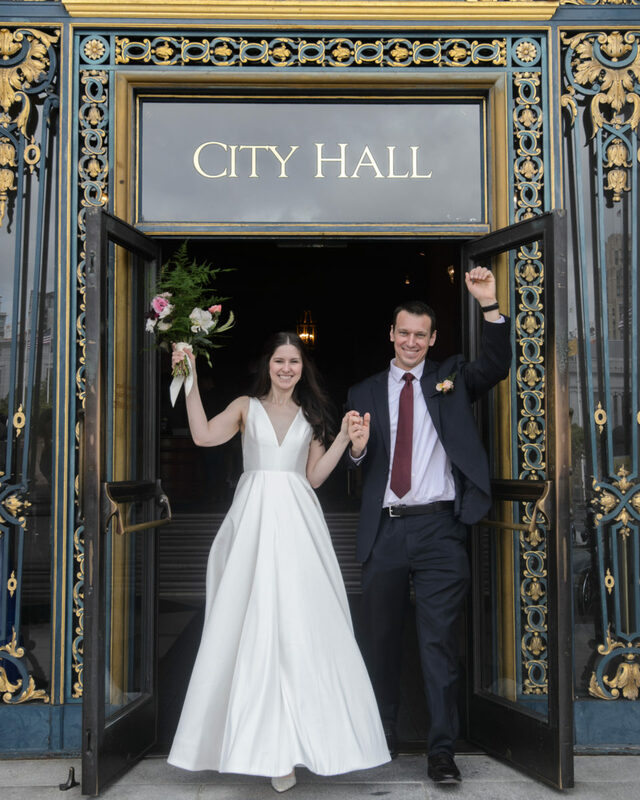 The Cable Cars line up here to wait to go in for their next load of passengers and so there is a nice opportunity to post the newlyweds while waiting. 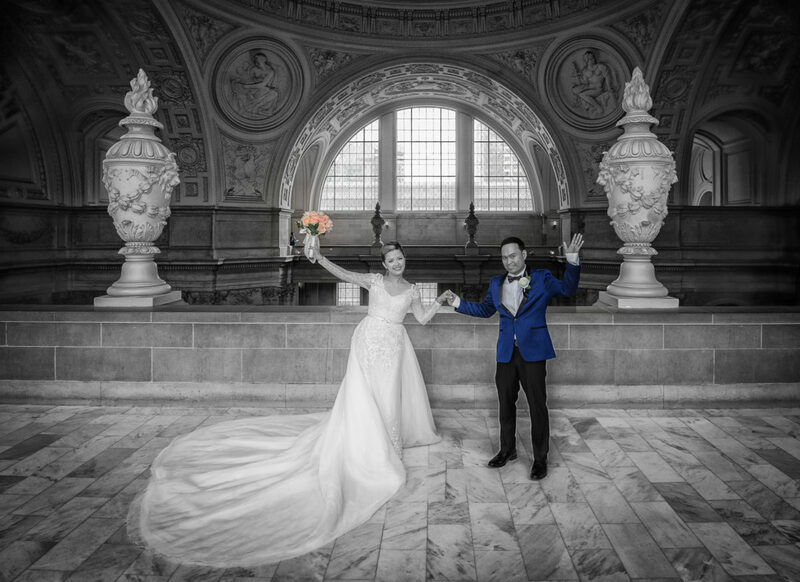 In the image below, we asked the couple to hang out a little from the Trolley to make it appear like they were riding. 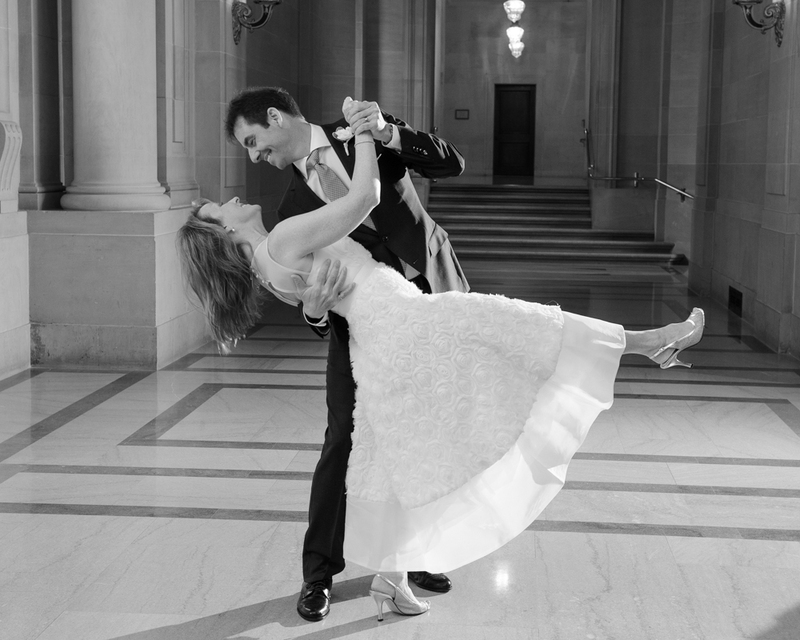 Definitely a fun shot to go with our bride’s fun dress.